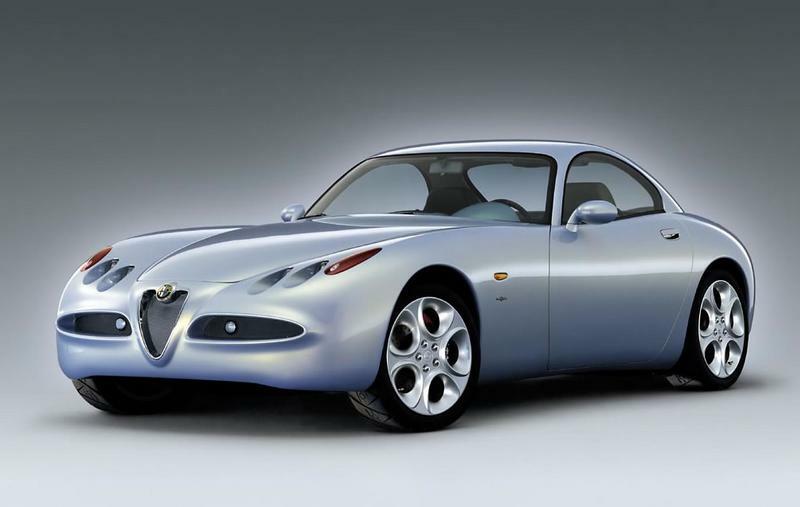 The Alfa Romeo Nuvola is a concept car from the 1996 Paris Motor Show. Named after one of Alfa Romeo's most famous racing drivers, Tazio Nuvolari, winner of the 1935 German Grand Prix. It's arrival had been delayed from the spring motor show at Turin amongst fears that it would upset the launch of the Bravo. They were correct to change the release date as when it was seen the Centro Stile designed Nuvola stole the show. The proportions are classic with a long bonnet and wheelbase with the driver seated almost above the rear wheels and details like the tiny headlamps were very in vogue at the time. 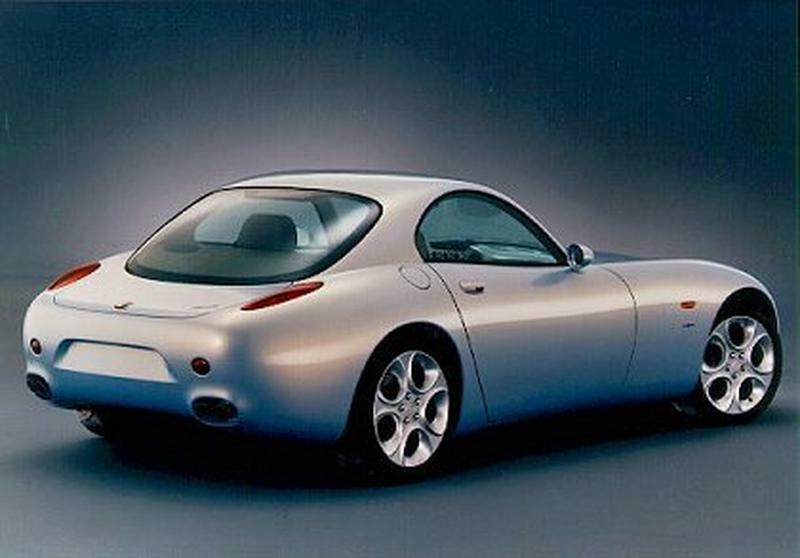 The car looked a lot bigger than the production GTV of the same period, however they are virtually the same length while the wheel base of the Nuvola is 60mm longer than the GTV, but the Nuvola is wider which gives it the greater impression of size. In order to get the Nuvola to its 175 mph top speed, Alfa Romeo were to use their 2.5 Litre V6 engine, and to raise the power from the 156/166's 190bhp, the engine was twin turbocharged taking the power output to 300 bhp, with 285ft lbs of torque at 3000 rpm. This, combined with the four wheel drive system, should have got the 0-60 time down to the low five second mark. Unfortunately the car was never produced and all that survives is the colour "Nuvola Blue" which is available on 147's, 156's, and 166's.